Stay in Costa del Sol's best hotels! Hotel Boutique Teatro Romano is located right in the heart of Malaga's old town, opossite the Roman Theatre and 100 metres from Picasso Museum. Guests can enjoy the on-site bar. The reason we rate so high, adjustments staff were willing to make upon our arrival. We booked via booking.com, the room was a closet with 2 single beds. This trip is for wedding anniversary, new room was divine at the same price. Featuring a seasonal rooftop plunge pool with views and a courtyard, Room Mate Valeria is 200 metres away from Calle Larios. Free WiFi is available throughout. Absolutely EXCELLENT location. Roof bar was amazing. The room and the hotel in general was very clean. The staff was kind, helpful and knowledgable. Located 200 metres from Torrecilla Beach in Nerja, MB Boutique Hotel- Adults Only offers a business centre and free WiFi throughout the property. Extra comfy bed, spotlessly clean, great rooftop sunbeds. Situated next to the Balcón de Europa viewing point in Nerja, the Mena Plaza hotel offers modern rooms with free WiFi, and a pool with panoramic sea views. The roof top pool was so lovely and a great place to relax. The staff were excellent and so friendly including Nadia, Ana and all of the cafe staff Dani, Cristian, Maria Gracia, Vanessa, Agustín, Alberto, Sergio were so helpful and friendly. I would definitely recommend to a friend! David our airport transport recommended by the hotel was also really welcoming and so very helpful. Set in the centre of Nerja, just 400 metres from Burriana Beach, Villa Flamenca offers air-conditioned rooms, an outdoor swimming pool and a rooftop terrace with sunbeds and a hot tub. Location is great. 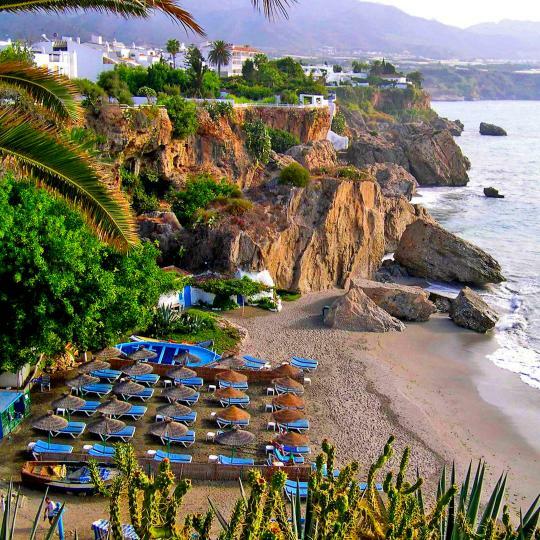 10 min walking to the center and 7 min walking to the main beach of Nerja (Burriana). Facilities are excellent (Pool, Jacuzzi, Rooms) and breakfast is full of options. This pleasant, family-run hotel is located in the town centre, 2.5 km from the beaches of Benalmadena. It offers bright, air-conditioned rooms with free Wi-Fi and a sun terrace. Very nice and cosy, we enjoyed are stay! This luxurious beachfront hotel, set between Marbella and Puerto Banús, has 2 luxurious pools and 5 restaurants. The hotel has everything you expect from a 5 star with all your wishes catered for. Recently declared as best rural hotel in province of Málaga, it is located right in the heart of la Axarquia, beside the reservoir of La Viñuela and at the foot of the Sierra Tejeda mountain range. Fantastic hotel and staff professional and friendly. This beachfront boutique hotel with outdoor swimming pool and hot tub overlooks the Mediterranean Sea. Everything! The hotel is nice and definitely we'll visit it again. Thank you, guys! Marriott's Playa Andaluza beach resort in Estepona, Spain, is situated on the Costa del Sol near the exclusive "Millionaire's Paradise" of Puerto Banus. Lovely settings. Great location. Healthouse Las Dunas is a luxury health-focused hotel located in Estepona. Set in a traditional Andalusian-style building, this property offers two health and wellness Spa Centres, and various pools. Best hotel ever! I was here with a friend of mine to celebrate our birthdays. Enjoy the stunning panoramic views from our attractive 1000 m² Asian-style luxury villa which rests on 1500 m² of land overlooking both the mountains and the Mediterranean. Everything was perfect! The room was beautiful and very well decorated. Set around a traditional Andalusian-style patio, this beautiful 18th-century mansion is located in San Martin Del Tesorillo. We had an excellent stay in the hotel. The staff is extremely kind. Malaga Premium Hotel is located in a pedestrian street in the heart of Málaga. Guests can enjoy their 2 on-site restaurants and their rooftop terrace bar. The best and the kindest people on reception I’ve ever met!!! Featuring free Wi-Fi throughout, Ibis Budget Málaga Centro is located a 15-minute walk from the Picasso Museum. The air-conditioned rooms come with a satellite LCD TV. Each has a private bathroom. Has all that a traveller would require for a couple of nights stay. Clean. Featuring a unique medieval design, Hotel Plaza del Castillo has a distinctive façade resembling a castle and beautiful ornate gardens. Its rooms have air conditioning, heating and a minibar. Great food choices. Good food. Just 5 minutes’ walk from Carihuela Beach in Torremolinos, the modern Hotel Natursun features an outdoor swimming pool and a hot tub. Its stylish, minimalist rooms come with a private terrace. Such a perfect hotel for what we needed. Clean, extremely friendly staff and perfect location. Located in La Nogalera area in Torremolinos, known for its lively gay scene, this central and stylish hotel offers a spa and 2 outdoor pools. LGBT hotel, very friendly. Wonderful sea views and facilities. A local favourite, Malaga's Pedregalejo area bustles with people enjoying the beach or having a drink on a seafront terrace. Hiring a kayak is the best way to explore the stunning coves and beaches around Playa de Maro Beach. 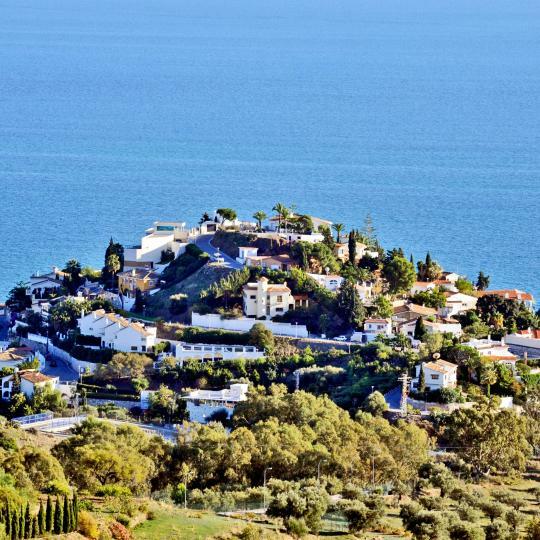 Take in views of the Costa del Sol coastline and the coast of Africa from the top of Mount Calamorro. 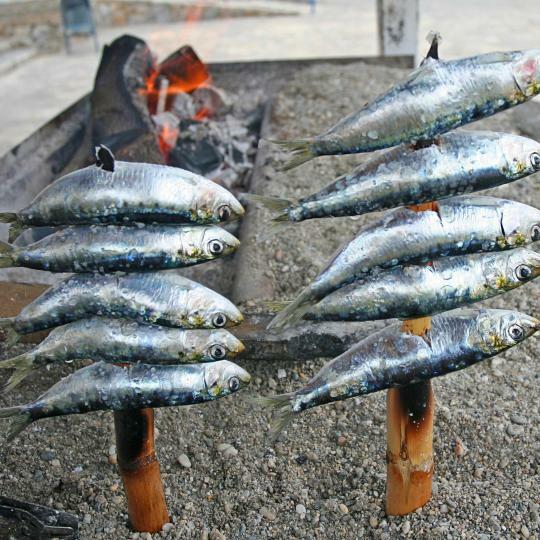 Fresh sardines are skewered onto sticks and grilled over fires on the sand in La Carihuela, Torremolinos’ old fishing district. 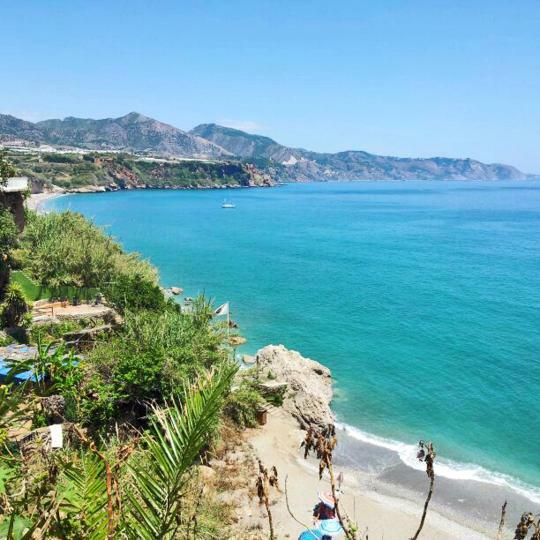 Overlooking Nerja’s beaches, the Balcon de Europa viewpoint is reached directly from the city’s buzzing main street. Famous for being the dining room of the Costa del Sol, Benahavis is a mountain village packed with exclusive restaurants. Popular for water sports and its 'chiringuito' beach bars, Playa Burriana is a wide sandy beach. 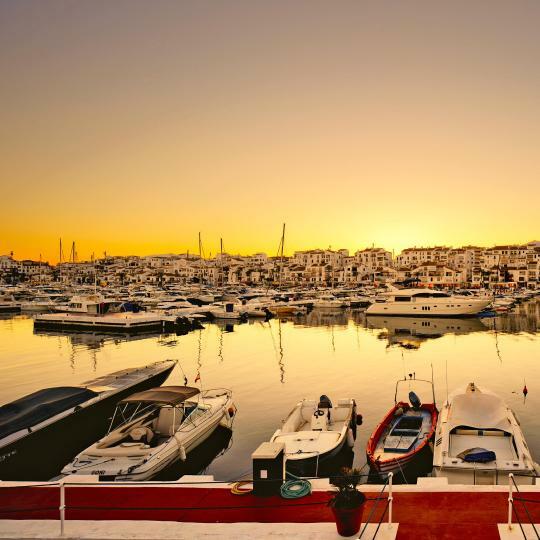 A millionaire's playground, Puerto Banus is famous for its marina and is a must for fans of designer labels. 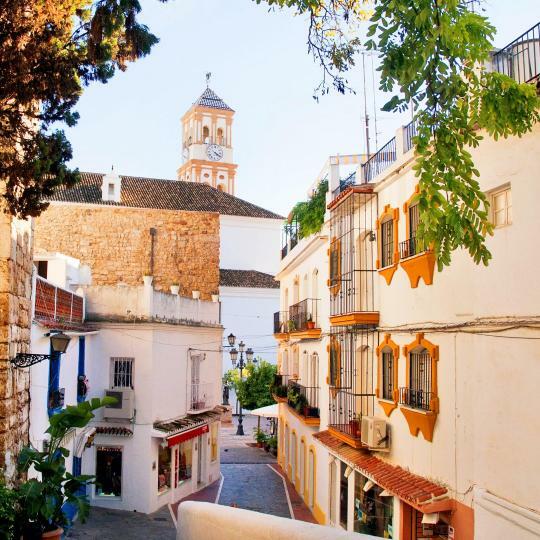 Find authentic Andalusia in the narrow streets of Marbella's Old Town and the charming Plaza de los Naranjos Square. 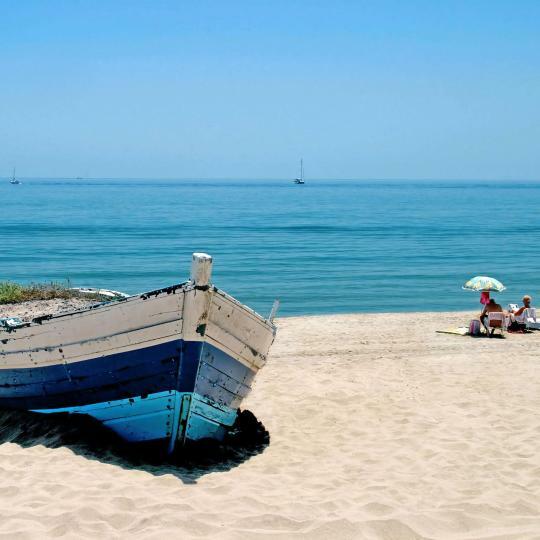 Those looking to escape the crowds can try the long stretch of sandy beach at Playa El Saladillo near Estepona. 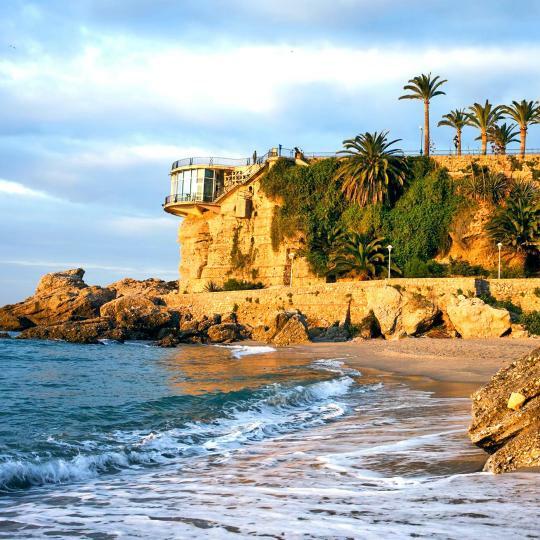 With warm waters and sun-drenched beaches, the Costa del Sol certainly lives up to its name. From north of Gibraltar to Almuñecar, this part of Andalusia is a top destination for holidaymakers of all budgets. Puerto Banús attracts the world’s super-rich, and many moor million-pound yachts in its harbour. Glamorous Marbella also has designer shops, an orange tree-lined square, and easy access to Costa del Sol golf courses. Quieter Estepona has a low-key harbour and several good Costa del Sol hotels for kids, while Fuengirola’s long, sandy beach is overlooked by a Moorish castle and Roman ruins. 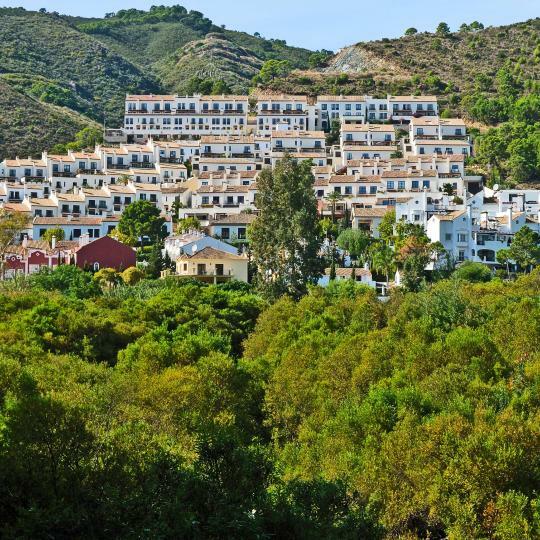 On its outskirts is Mijas waterpark, named after the hill town offering fantastic views of the Costa’s rugged mountains and pristine beaches. Another waterpark - Aqualand - is in Torremolinos, a vibrant resort with many Costa del Sol hotels by the beach. 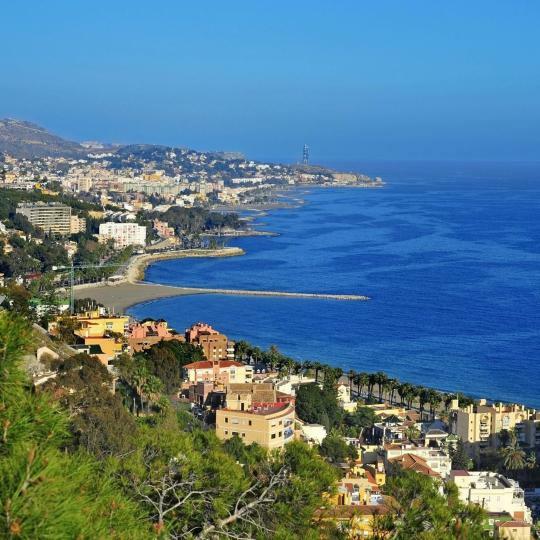 Long and sandy, it stretches all the way to lively Benalmádena, from where dolphin watching trips depart. Also here is Tivoli World theme park, and a cable car just opposite goes up Monte Calamorro. With its impressive Alcazaba castle overlooking Roman ruins, Málaga, the region’s capital, was the birthplace of Picasso, and a museum and his former home can be visited. Nerja to the east boasts a 19th-century aqueduct and the Balcony of Europe promenade above its beach. I had a business trip to Malaga, and I had one day off,so I have decided to drive around Costa del Sol to visit Gibraltar, Ronda, Cadiz ect. I have chosen to stay in Hotel Al Ana, because it has perfect location, for people who want to see all these paces. I also really enjoyed facilities on the area. The hotel had a wonderful room, lovely garden and swimming pool. It was also very quite there, this is very nice factor for people who just like to chill. I have really enjoyed to stay there and I hope that I will come back there ones. The apartment was spotless clean and very tastful decorated and furnished. The host answered all our questions immediately. The greatest was the cozy balcony with a beautiful view to the sea, garden and pool. We felt like being in heaven. Mi Capricho is very well-kept, also it's garden and pools and we had a very pleasant and tranquil stay there. Also the very good restaurant Chiringuito is just next to the garden door directly at the sea. Whenever we come again to the Costa del Sol we would be more than happy to stay there again. We had a lovely time staying in this apartment. Great value for money. Complex has lovely seating areas outside, good pool, a small onsite cafe and plenty of sunbeds to make use of on the grass area overlooking the sea. The back gate opens up right onto the beach. The buses to both Fuengirola and Marbella are practically outside the complex. Its a really good base for exploring the Costa Del Sol.plenty of restaurants and bars within walking distance. Chris, who met us with the keys was so helpful aswell. Fantastic resort. Booked this hotel at the last minute and weren't expecting too much for the money but it was excellent. The apartment was exceptional and have all you could need for a holiday with kids. Great facilities and the staff were very friendly and so helpful (Big Tkx to Manager Jose). Great if you want to get away and relax with facilities on site. Also perfect location to stay in Costa del sol as all other towns were nearby. We are coming back again...It was a Great Stay ! Where do I begin? This property was fantastic. If I could give it 6 stars out of 5 I would. Everything has been thought of and more. Will definitely be staying there again! To wake up in the morning and have your cornflakes on your balcony was amazing. The position on the apartment meant the sun was on your balcony all day. You easily accommodate a larger party and the master bedroom was huge! Also 50 yards away from El Oceano, the best hotel on the costa del sol by a mile. Very nice and comfortable apartments complex in the best area of Costa del Sol. I'm regular client of Miraflores several years and being impressed of client-oriented service, polite and professonal staff. The apartaments are full equiped, the area around is very green and quiet. Many shops, cafe and restaurants are in the walk distans. No problem with the car park. Sure the one of the best value for holidays and leisure on Costa del Sol. A room with a view of the Mediterranean is always nice. On a location with the beach just in front of you and the mountains on your left you can leave behind you all the huzzle and buzzle of the costa del sol. The hotel is situated quite near the white mountain village Frigiliana, absolutely worth visiting. Worth mentioning is the restaurant, where you can view the sunset over the sea while having a fresh and delicate breakfast. Situated on a hill, the resort commands amazing views of Costa del Sol and the inland mountains. Nice friendly staff. The apartment is spacious, modern, comfortable, clean, well-equipped, and comes with a big panoramic balcony. There's a cafe-restaurant next to the reception for drinks and meals. The pool area is wonderful, although it was too cold for swimming during my stay. Would definitely stay again. The apartment was exactly as advertised. The setting was a bit quieter than some of the larger beach towns on the Costa Del Sol, so that made space and playtime for the 2 young children much more enjoyable. Beatriz met us with the keys and communication was prompt and easy whether by phone or through booking.com emails. Plenty of space inside and no noisy neighbors to keep us up at all hours. A very nice and clean apartment. The equipment in the little kitchen had everything. The bed was very confortable and the balcony had a nice wiew over the sea. The bathroom was very clean and had many nice towels. Outside there where a lot of free parking places and also many nice bars and restaurants. A real nice place for a couple who want to spend a good time at Costa del Sol!! The very convenient and excellent situation of the apartment though quite small had every convenience We enjoyed our stay there. We are very familiar with Torre del Mar having visited the surrounding areas many times . The town has many restaurants and a beautiful promenade reaching up the coast as well as the beach and sea. This resort is a diamond along the Costa del Sol. The Apartment was immaculate.....from the Bedding to the Shower with beautiful towels...you see we were attending a wedding and were living at the other end of the Costa del Sol hence this location allowed my wife and i to walk to the venue with ease... it was brilliant and the mine host was very accomodating to. Really spacious and clean apartment. Views were great. House keeper came in half way through our stay to change beds, towels etc. Really well equipped apartment. Swimming pools on site are great. Well located for exploring the Costa del sol coast. Whole complex is very clean. Felt very secure. Quiet, amazing apartment, and a fantastic view! From the moment we arrived, we felt at home in this huge, clean apartment. You will struggle to find better accommodation on the Costa Del Sol. Albert and Dirk are incredible hosts. We will be back. Confortable bed, good apartment with lot of space, kindly people, good location in Costa del Sol. One appoitment: to go to the beach, with kids, you always need to go with a car. The kids club staff were amazing, so much fun + engaged with the kids in such a positive manner, would visit again for the incredible kids club staff, thank you!